It’s week two in our October series, Teaming Up Tuesdays. Let me tell ya, the fun has only just begun! This week we’re thrilled to introduce you to another amazing project working day in and day out to end modern day slavery. Just like our friend last week, they’re doing it with gorgeous jewelry. Can I just say how brilliant I think that plan is? Seriously. 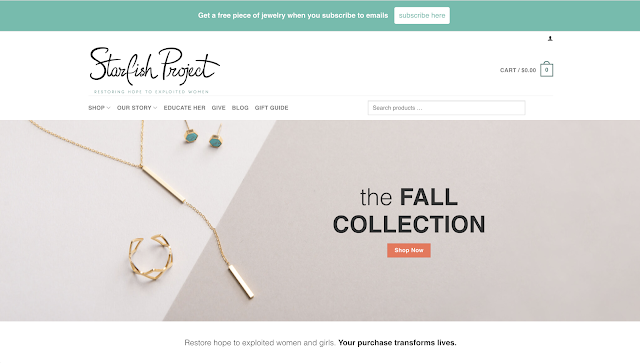 Women—we love jewelry. Like so much. And it’s crazy how much more I love it when I know my purchase is going to empower other women! Anyways. Back to our introduction. I first stumbled upon The Starfish Project a few months back when I was looking to invest in a 30th birthday present to myself that would remind me of this passion and calling to end it that God has put inside of me. I quickly found this amazing project and I’ve been a fan and a supporter ever since. I’m so excited to share them with you! 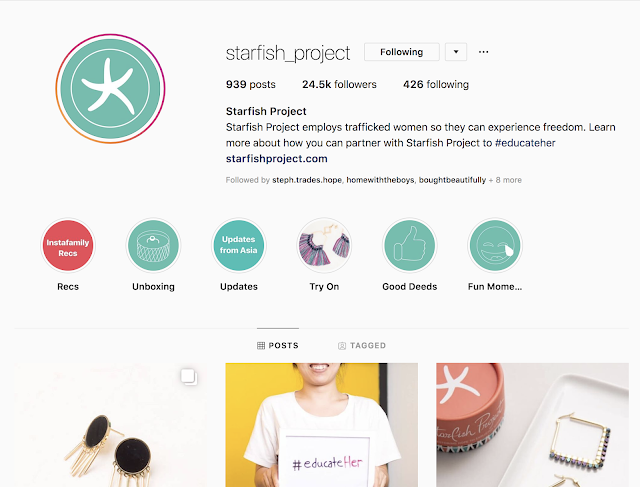 You can follow The Starfish Project on Instagram at @starfish_project. That sweet little story tho! Right!? Every time I visit this site or take a stroll through their shop, I am so incredibly inspired to be a part of what they’re doing. I especially love their focus on the one and how making a difference even just one at a time means everything. I love the products I’ve purchased from this shop, and this is the coolest part: they come with a handwritten note from the beautiful woman across the ocean who helped to make your piece! She shares how your purchase helped her study and develop her career further. I love wearing that ring for that reason alone—not to mention it’s gorgeous! I do encourage you to take some time this week to browse their site. You will not be disappointed. It’s chock full of amazing information, survivor stories, how to make a difference, and of course gorgeous accessories. Oh, and hint hint, there’s probably a midweek giveaway coming your way on behalf of our amazing friends at The Starfish Project but I can’t say for sure!